Fred - Paris signed Brooch. 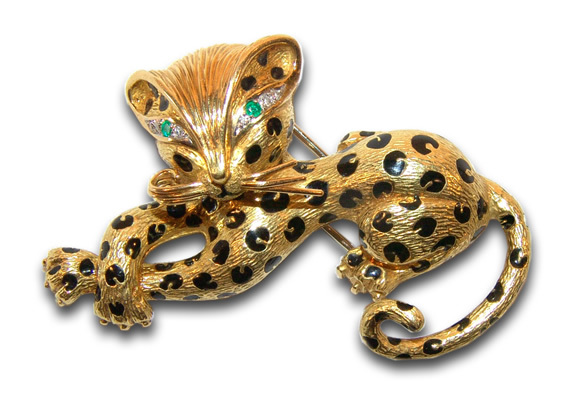 Delightful 18ct Gold Leopard Brooch with enamel spots and Emerald & Diamond eyes complete the look of "What? Who me?"